Microsoft Store offers a full line of trusted software and hardware along with a full selection of computers, tablets, Xbox Consoles, Windows Phones, and more. Bonus Reward Points earned in the Bonus Points Mall are subject to the Bonus Points Mall Terms and Conditions. Bonus Reward Points are awarded for purchases made on Microsoft online store in Australia only. Limits and exclusions may apply. Not valid on prior orders or purchases; cannot be transferred or otherwise redeemed for cash or gift cards. May not be combinable with other offers. Refunds will take into account the discount. Void where prohibited or restricted by law. Bonus Reward Points are not awarded on Software, Windows, Minecraft, Band, Phones, Services and Accessories, Windows Mixed and Virtual Reality, Developer/Visual Studio, Xbox Live 1 Month, Xbox Live 3 and 6 Months, Xbox Live 12 Months, Xbox Game Pass, Xbox custom controllers from Xbox Design Labs or PC Hardware. Bonus Reward Points are also not awarded on PC's, redemption of gift cards & e-gift cards. 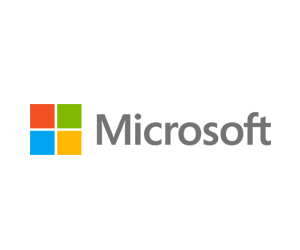 Microsoft reserves the right to modify or discontinue offers at any time without notice. Some retailers have their own policies and restrictions. Before shopping, please ensure you review the Special Terms of Microsoft (above) for further information. Complete your purchase in one session and without leaving Microsoft. Do not click on any bookmarks or advertising banners or links once you leave ANZ Bonus Points Mall. Restrictions: Students, faculty and staff only. The Australia Microsoft Store can only ship to Australian locations at this time. We currently do not ship to Norfolk Island, Christmas Island or the Cocos (Keeling) Islands. All orders will be shipped free via TOLL. The estimated delivery timeframe is 1-5 business days for metro areas, however may take up to 7 days for outlying areas. Standard shipping is free with an estimated delivery timeframe of 2-5 business days. Express shipping is $8.95 with an estimated delivery timeframe of 1-2 business days. The price for the products will be the price in Australian dollars including GST. We will accept returns and exchanges for eligible products for 30 days from the date of delivery or download, as applicable. Simply return the eligible product in like new condition and in its original packaging, along with all parts, components, instruction manuals and documentation that were initially included. Packaged software and games must be returned with their seal intact and must include all media and product keys. Some items are not eligible for return, all purchases of these types of products are final and non-refundable: digital apps, games, in-app content and subscriptions, music, movies, TV shows, and associated content; gift cards and service/subscription cards; products that have been personalized or customized; special order products; services that have been performed or consumed; and clearance items.